During an encounter with a mysterious probe, Picard experiences over thirty years of another life. When Eline dies, I'm not ashamed to admit I water up a little. This kind of emotional impact, for the death of a character who is only on the show for a single episode, is no small accomplishment, and it speaks to how effective the entire episode is. I've already gone on record calling this my favorite episode of TNG, and I stand by it. "The Inner Light" is, quite simply, TNG at the top of its game. Captain Picard is by far the most guarded character--and thus the most ripe for exploration--and the best episodes involving him usually involve breaking through his shell and finding out what's beneath. Q is good at poking and prodding at him, Vash was able to sneak inside when Picard was unguarded, the Borg forced their way in, and most recently, Kamala, the empathic metamorph, was able to discover what was most important to him. Here, however, we see what would happen if you took away everything we think defines Picard: his duty, his station, Starfleet, the Enterprise, and all that, replacing it instead with a much simpler, more domestic life. 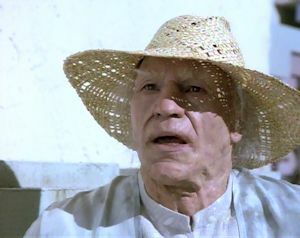 Picard has always been a little drawn to such a life, as was seen in the episode "Family," but in "The Inner Light," he is given a chance to really live it, to know what it means to have a wife, to raise children, to have meandering time for hobbies and music, to be a member of a community rather than an officer in Starfleet, etc. This should have a profound effect on Picard, depending on how intense that other life really is. If he actually lived those thirty plus years on Kataan, his entire character would be changed forever, but if his memory is more akin to a vivid dream, its long-term effects would be more subtle. This presents a puzzle for the writers of the show, who have committed to multi-episodic storytelling: how drastically can you really change your deepest and most important character? Again and again, we see that dramatic past experiences play into future episodes, especially when you consider all the baggage Picard still carries following his assimilation, so it would be shameful if the writers fail to capitalize on his other life as Kamin, even if they keep it low-key. At the end of the day, though, "The Inner Light" is an amazing story, fully capable of standing alone outside of Star Trek. It's metaphysical, philosophical, emotional, and personal, using unique science-fiction to tell a very human story full of both sadness and inspiration. It is not only one of the best episodes of Trek, but it is one of the finest hours ever put on television. Though the episode is one of the few Star Trek episodes to get a Hugo award, it's criminal that Patrick stewart, who cited this episode as his hardest acting challenge on TNG, didn't get an Emmy for his performance. And holy crap, is that haunting flute melody amazing or what? There are logistical problems: for one thing, the society on Kataan doesn't seem technically advanced enough to pull off the probe. How do they know the brain chemistry of aliens? They don't even have telephones, and yet they're able to simulate reality, implant memories, and launch highly advanced space probes. How come the Enterprise computer knows the name of the system--Kataan--even though the entire civilization that gave it that name has been wiped out before making first contact with another world? How did Eline, at the very end of the memory, know that Kataan had been dead for a thousand years? Why does the probe shut off after one session? Wouldn't the lost culture spread even more if it didn't? Imagine if, instead of finding the Enterprise, the probe had encountered a Klingon vessel. Can you just see a Klingon waking up as Kamin and killing everybody when they insist his other life isn't real? Number of episodes in which a member of the crew is subverted by an alien lifeforce: 22. Though it's tough to say how much this episode should affect Picard, it is mostly swept under the rug, only popping up again in "Lessons." However, you could argue that Picard becomes more active in his existential search for love and family following this episode--most especially in the TNG films--probably as a result of his experiences on Kataan. In many ways, Star Trek: Generations taps into this episode's thematic ideas. In "The Inner Light," Picard tells his daughter to seize the moment, to make "now" the most important thing, because it will never come again. At the end of Generations, he comes to much the same conclusion and expresses the same sentiment to Riker. Also, in Generations, Picard experiences a simulated second life--although one that is not nearly as long-lasting--in which he has a wife and children, putting his almost unconscious desires for family into the forefront (following the death of his brother and nephew in that case). Miles O'Brien is put through a similar--but much darker--experience in DS9's "Hard Time," in which he is given the memories of twenty years of harsh imprisonment.